The mission of the division of accelerators, cryogenics and magnetism is to develop and produce particle accelerators, ion sources, accelerator cavities, cryogenic systems and superconducting magnets for Irfu's scientific programs. For this, the DACM has extensive assembly, integration and testing facilities, ranging from winding and magnet assembly halls, to large clean rooms for accelerator systems and small test stations to characterize materials, to very large stations capable of testing complete assemblies. 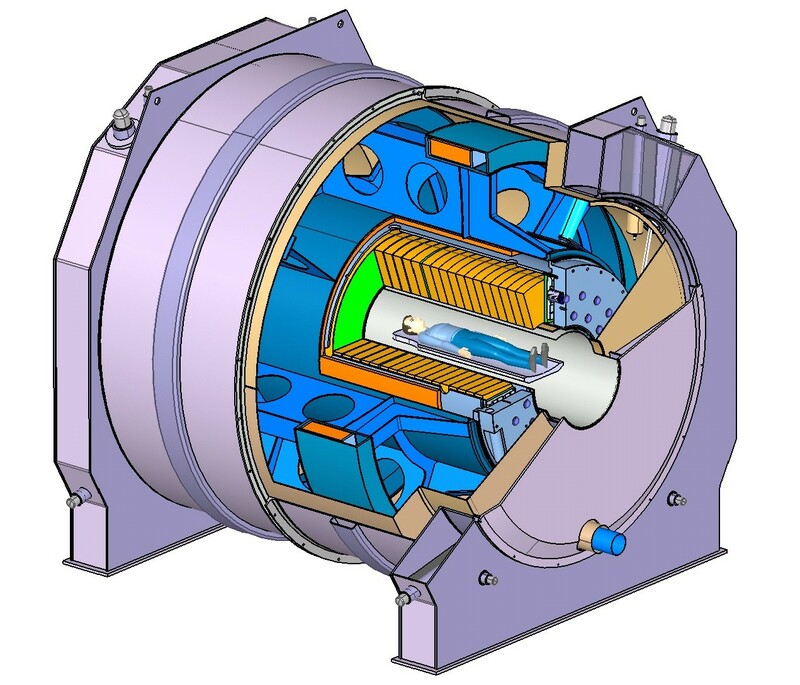 Thanks to its advanced skills, the DACM ensures the prime contracting of accelerators or parts of accelerators such as Iphi, the design and prime contracting of accelerator magnets and magnets integrated into detection devices as well as associated cryogenic devices. Drawing on its skills, the DACM applies its technologies to other research fields such as energy with the JT-60SA tokamak or life sciences with the Iseult project magnet. In order to ensure the conduct of large-scale projects, the DACM must develop the corresponding testing resources. Thus, it also conducts a strong R&D program that prepares the future of technologies to provide the necessary tools for advances in basic and applied research. 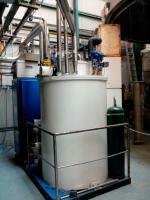 It also designs and develops platforms and test stations as well as the production of cryogenic fluids used at Irfu. CELLO refrigerator for the JT-60SA test facility : The JT-60SA cold test facility was designed and constructed to validate the 18 superconducting magnets that will be installed on the JT-60SA tokamak at Naka in Japan. The “CELLO” HELIAL liquefier/refrigerator originally attached to the station used to test prototype magnets for the LHC has been moved. It now provides cooling for the JT-60SA test station and produces the liquid helium necessary for testing the magnets at nominal current. Its cooling power is around 500 W at 4. Cryo/HF Supratech platform : The Cryo/HF Supratech station has cryogenic and hyper-frequency equipments[PO1] that can be used to develop the key subassemblies of superconducting accelerators such as superconducting cavities, power couplers and complete accelerator modules (e.g. cryomodules). DACM - past and futur projects : In the last three years, DACM has scored a number of successes: the injectors of SPIRAL2 and IFMIF have been tested in an operational situation in their bunkers inside the Synergium and have achieved their nominal performance. The 51 tons of superconducting material necessary for the ISEULT project were produced and 170 double pancakes were wound with the required accuracy. The development of innovative antennas for medical imaging has continued with success. DACM - the missions : The expertise of the Department has also been deployed in support of work in associated fields including energy (materials studies for thermonuclear fusion as part of the IFMIF project, qualification of the coils of the Japanese JT-60SA Tokamak), life sciences (the ISEULT ultra high field magnetic resonance imager for NEUROSPIN) and light sources (SOLEIL and XFEL). 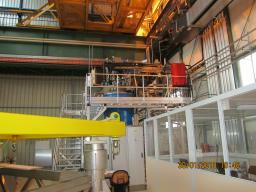 DACM also provides management services for major large scale projects and develops the associated test systems. DACM - the organisation of the division : DACM is division of the Institute of Research into the Fundamental Laws of the Universe (IRFU), of the CEA Physical Sciences Division (DSM). It is located on the Saclay center in the premises of the former National Laboratory Saturne, LNS, and the former Department of Instrumental Techniques of Elementary Particles, the STIPE. These premises have been renovated and gathered in a large platform called "Synergium" which occupies a total floor area of 25,000 m2. 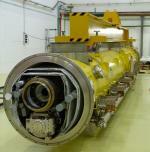 Hélial 4003 liquefier - refrigerator used with the W-7X test station : The W7-X test facility was used to validate the 70 superconducting magnets installed on the European magnetic confinement fusion research machine, the Wendelstein 7-X stellarator. This test facility has two cryostats with a usable diameter of 5 m and a usable height of 4.1 m. The “4003” HELIAL liquefier, which has a capacity of around 200 W at 4.2 K, provides the cooling power for the test facility. 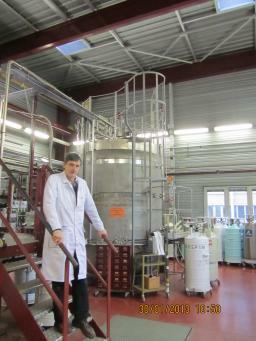 Hélial 4008 liquefier in the liquefaction station : In 2015, 131,000 liters of liquid helium were delivered to different laboratories on the CEA Saclay site and the surrounding area. The “4008” HELIAL liquefier, which has a capacity of around 70 l/hour, produces liquid helium in two tanks of 6,000 and 18,000 liters, giving flexibility for management of the liquefaction station. Ion Source Test Bench (BETSI) : Context Injector of light ion beam for ion source characterization, test of diagnostics and beam delivery for experiments. The test bench is equipped with an ECR ion source connected to an accelerating column mounted on a compact high voltage platform biased up to 100 kV. A dedicated extraction system allows the production of mono-charged light ion beams (typically Hydrogen ions with 80% H+, 15% H2+ and 5% H3+). Measurement of the Thermal Conductivity of Insulators and Conductors (MECTIC) : Context Thermal conductivity measurements on samples (Φ ≈ 30 mm) of insulating or conducting material by using the differential or integral method. 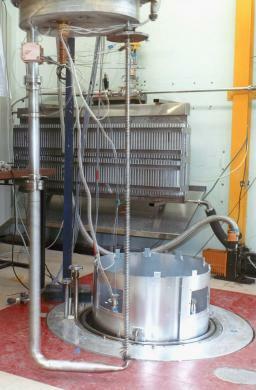 Thermosiphon test bench : Context Characterization of single phase and two-phase flows (by measurements of mass flow rate, volume ratio, pressure drop and wall temperature) along a vertical test section (h = 1.2 m) and a horizontal test section (Φ = 0.4 m) at the temperatures of liquid helium and nitrogen. The station offers a large versatility in the geometry of the cooling loop.